Although this image has been actually taken on the last day of the year 2013, the great situation of that evening and its unique atmosphere have convinced me to visit that area almost every day since for the whole January. 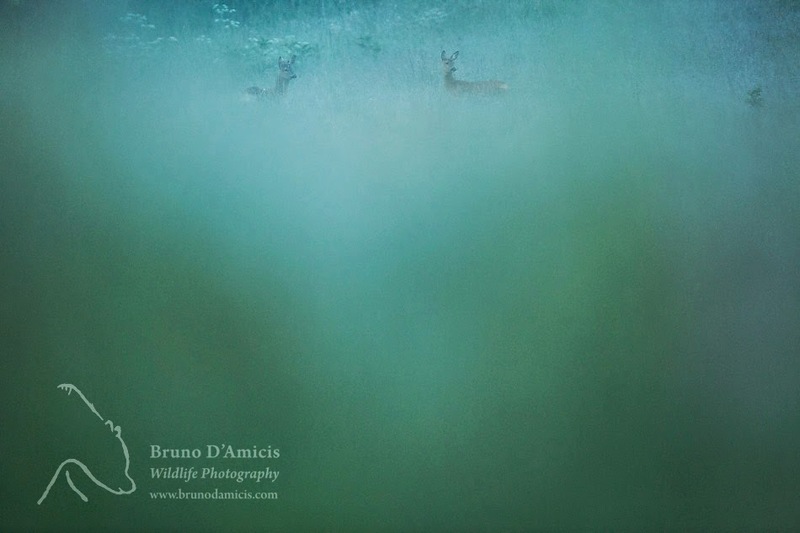 My hope then was to photograph wolves in the same weather conditions... but this had to wait much longer than expected and I had to be content "just" with red deer and wild boars instead. Nevertheless, I knew this would have been a great year anyway! 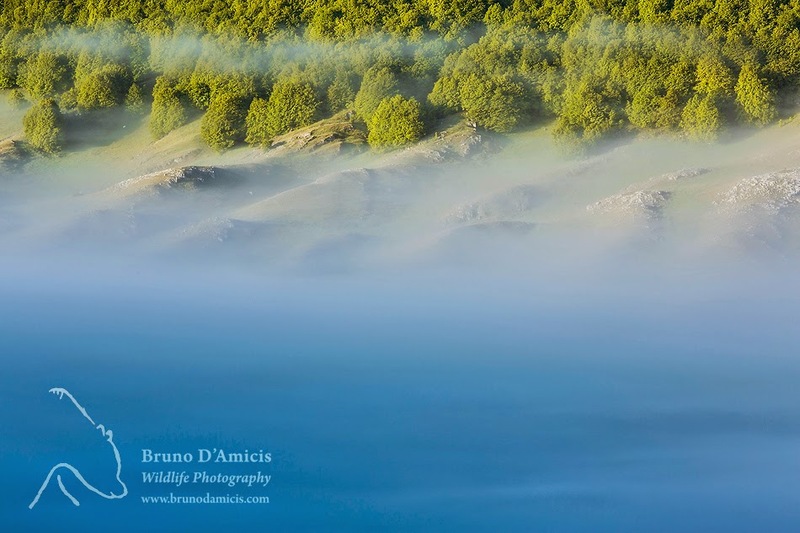 On a frosty February morning, while exploring with my camera an old beechwood in the Abruzzo National Park I got struck by the marvelous fringe the rising sun was creating behind some old trees living on a ridge. I stopped and started taking pictures of the situation. One hour quickly went by and I started realizing I was freezing. Yet, I had "metabolized" the situation and changed perspective. Eventually my persistence paid off when the sun poke through the trunks and its rays appeared as glowing stars. 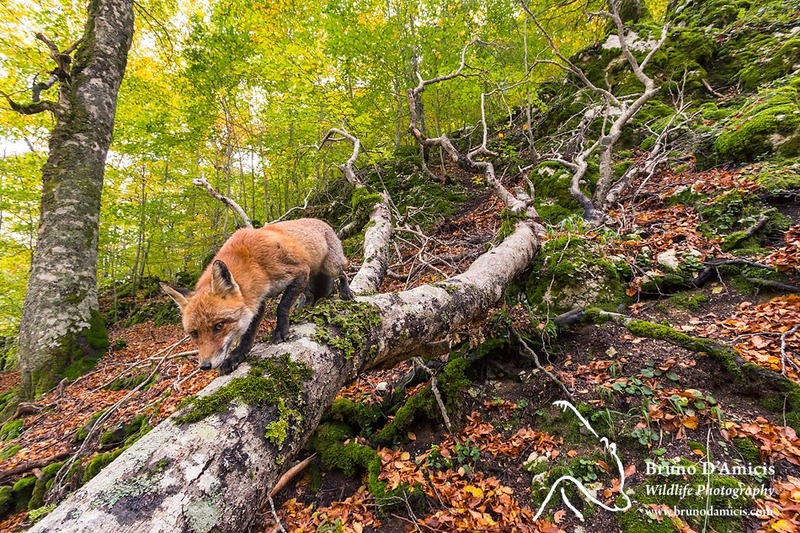 I am working on a long-term project for a book on beech forests in the Central Apennines and this was a nice image to put aside. March. 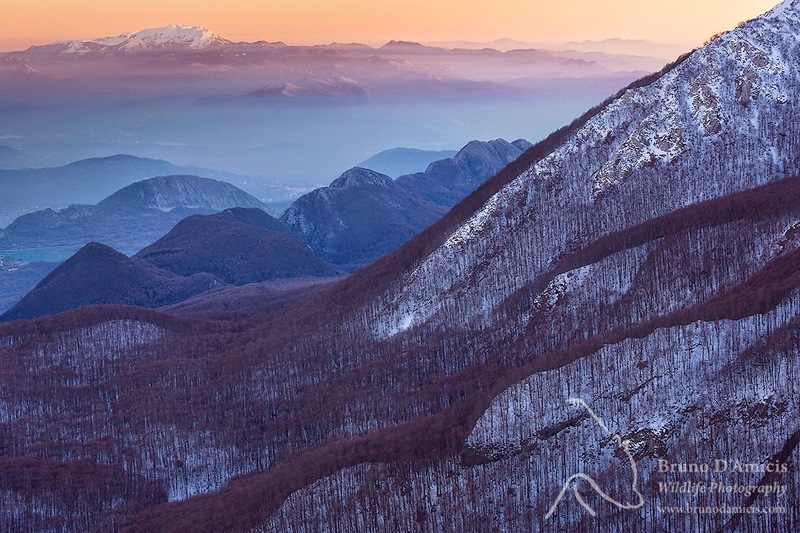 Mount Velino at sunset - Abruzzo, Italy. A sudden drop in temperatures and atmospheric pressure. together with an unexpected spring snowfall created the conditions for a unique light. I chose Mount Velino, the mountain that is closest to my place and to my heart, as a subject; picked a high viewpoint and set up my camera to witness one of the most memorable sunsets of my whole life. A reminder that knowledge of a subject or a place and understanding of light might allow us to get the most out of an unexpected opportunity. 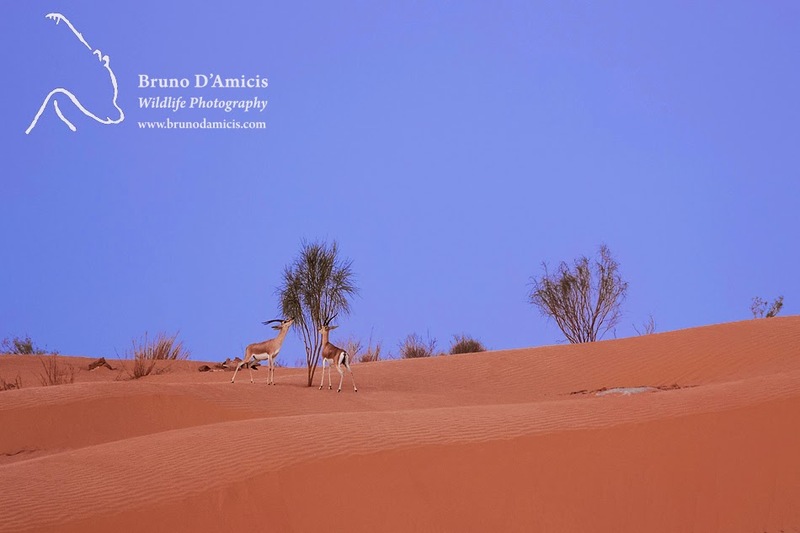 Last spring, after a short trip to Georgia, I listened again to my desert "call" and went to Tunisia to pursue one of my wildest dreams: to search for and photograph one of the rarest mammals of Africa, the beautiful slender-horned gazelle, also known as "Rhim". Once widespread across the sandy habitats of the Sahara, this species is now critically endangered and its numbers unknown. Look well at this image, one of the few out there depicting the Rhim in the wild: increasing illegal hunting and ongoing habitat destruction in fact might cause this graceful and amazing species to vanish in just a few years! In April, I have also had the honor to receive the 1st place award in the "Nature" category of the World Press Photo contest for an image depicting a sad fennec fox illegally kept in captivity. Now, more than ever, it is important to draw attention towards the issue of the conservation of the Sahara species and habitats! 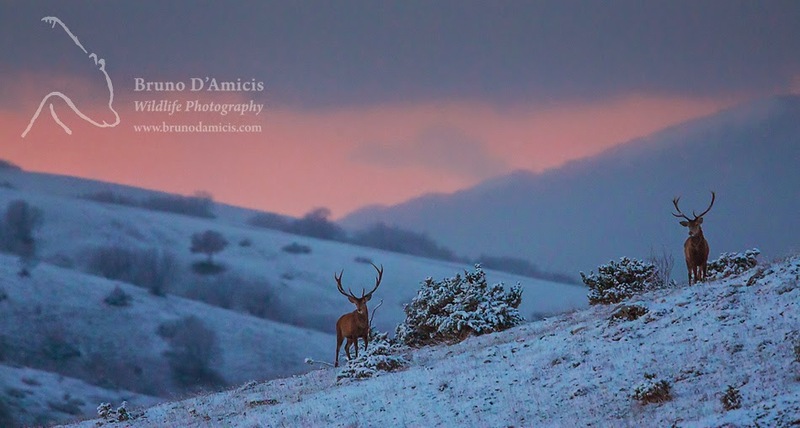 2014 has marked also the launch of "L'Altro Versante" (www.laltroversante.com), an ambitious long-term photographic project which I am sharing with two friends and great nature photographers, Maurizio Biancarelli and Luciano Gaudenzio, and which is entirely devoted to document the last wild corners of our country in the pursue of the "true Italian landscape". We will cover hundreds of locations across the whole Peninsula, but actually working close home and in places often overlooked, such as the Campo Felice plateau, does represent the real challenge and can deliver the greatest satisfactions. 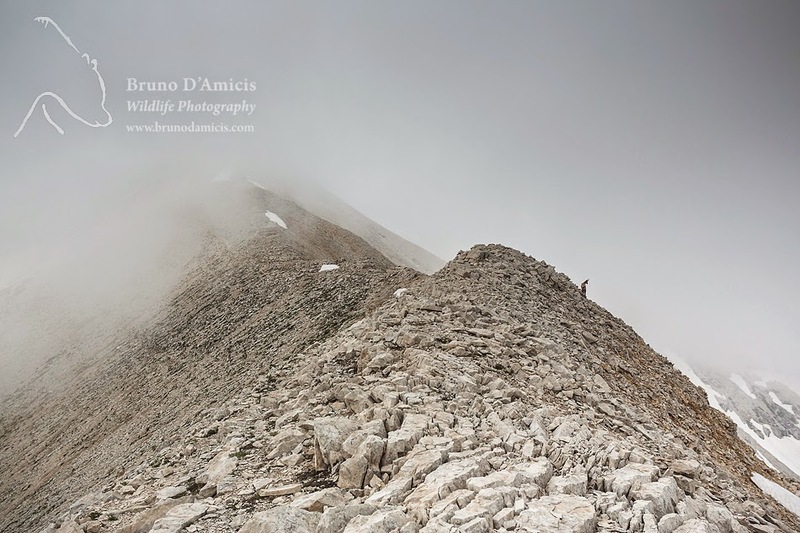 Returning home from the desert, I was involved in a filming production focusing on the nature of the Abruzzo National Park. It has been a pleasure to spend so much time in one of the places I love the most in the entire world. 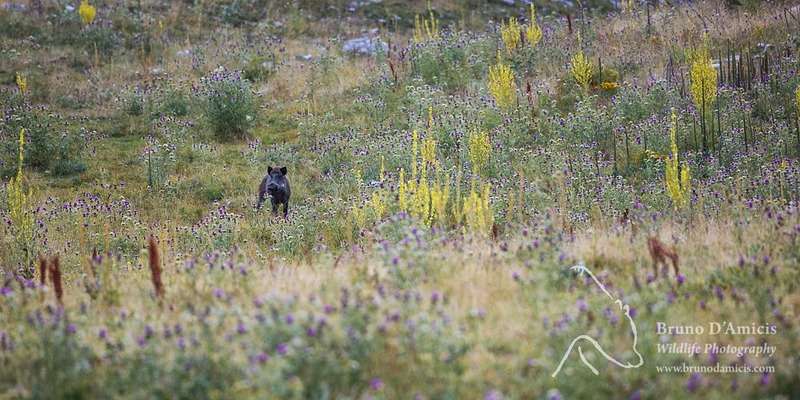 During the weeks of work, I have watched and photographed bears and wolves, wildcats and woodpeckers. Still, one of the most pleasant memories comes from an early morning encounter with two roe deer. I was laying down in the wet grass to remain concealed. The animals were grazing the fresh spring grass covered in dew and raised their heads every now and then to check a third deer which was moving at the forest rim. Last July, I have headed for the altitude plateau of the Majella National Park, in Eastern Abruzzo, on a mission for "L'Altro Versante" project. I had expected flowers and summer, but instead I found myself in a true Mediterranean tundra, with a grey sky, strong chilly winds and extensive snow patches. I liked the almost monochromatic patterns of bright limestone rocks and the dark tones of the clouds. I did not expect any wildlife at this altitude nor was I prepared to photograph it. So, when I stumbled across this lonely Apennine chamois along a ridge I was climbing, all I could do was to frame and photograph it with the wide-angle lens I had in my hands. The resulting picture is one of my ever-favorites of this subject and reminds me of the saying that "the best lens for the situation is the one you have in your hands at that moment!" 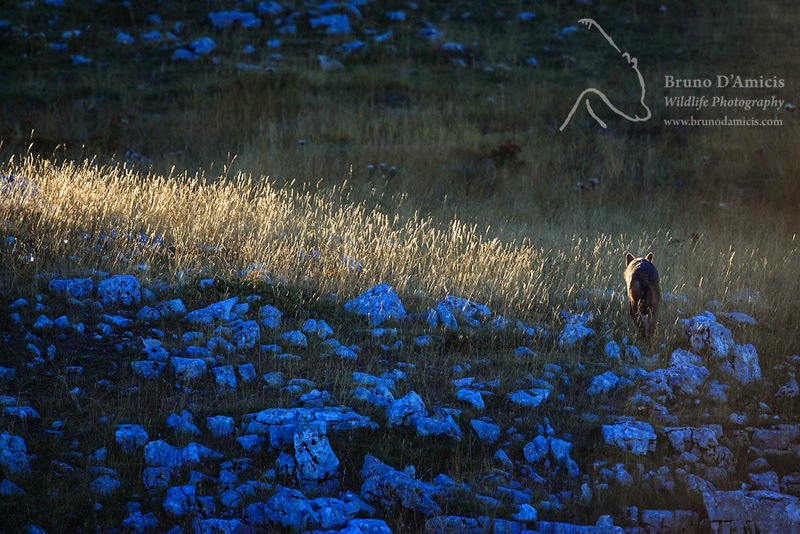 I have spent the whole months of August and September looking for wolves in the mountains of western Abruzzo, where on the previous years I had collected enough information to know the movements of at least two packs. I expected to find a pack with the pups of the year, but it has unfortunately taken me weeks and more than 35 excursions with no outcomes to finally be able to locate them. In the meantime, of course I have encountered many other animals, last but not least this big wild boar male. On a warm evening it was crossing a summer pasture that showed the typical nitrogen-tolerant vegetation of grazed areas: a humble subject in a humble context, yet a pleasant scene to witness and a even nicer memory to have frozen with my camera. Things cannot always go wrong! Last September, in fact, after so many weeks of nothing, I have finally located "my" pack of wolves and could follow and photograph them over a few days. The many images taken don't give justice to the emotions I experienced in those moments. Wolves are addictive: once you get some, you want more and more of them! I would like to know where are they now and what are they doing, but I can only gather some sparse information and get an incomplete scenario. Nevertheless, it is an enriching activity and thus my work that started five years ago goes still on and I hope to be able to show you the results of it already in 2015! In Italy wildlife is usually skittish and I am used to patiently stalk and photograph animals just from a certain distance. Sometimes, though, things turn around and it is the animal to stalk and approach me. Like this awesome and very curious red fox male, which simply appeared out of nowhere as I was walking through a nice beechwood with some friends on a grey October day. He first sniffed us, then our backpacks and eventually it hung around a little bit allowing us to take some truly memorable images. These are really magic moments, when somehow the barrier between us and them animals feels temporarily vanishing. Always in October, but with a different fox this time (another threatened fennec from the Sahara), I walked on stage in London to receive an award as category winner at the prestigious Wildlife Photographer of the Year competition and be able, once more, to raise awareness about the pet-trade and the critical issues affecting the desert wildlife. 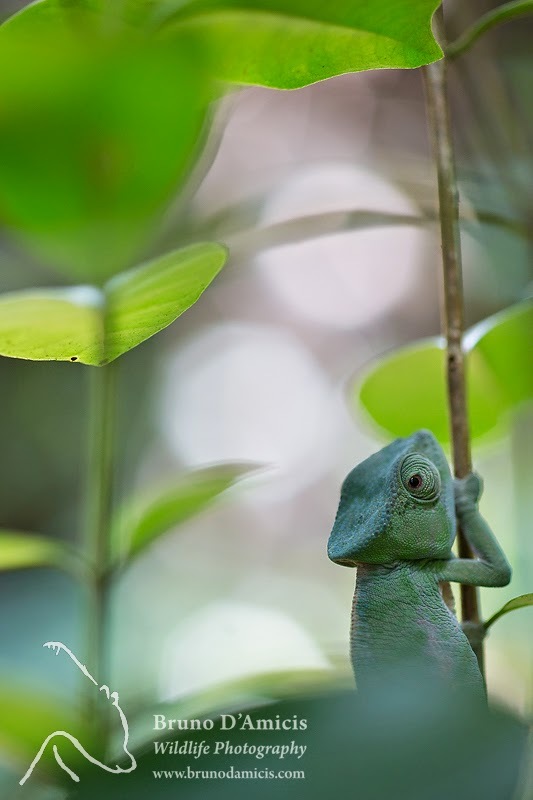 November has seen me working on a long assignment for the National Geographic Magazine together with my friend and amazing photojournalist, Christian Ziegler, to document chameleons, their biology, their habitats and the issue menacing their conservation. Madagascar is the center of diversity of this animal group and home to almost one hundred species: the range of characteristics and the variety of adaptations is simply astonishing. Nevertheless, the future of these animals is far from being secure. In fact, due to deforestation and land exploitation, just 7% of the original forested surface is now left on this island. This is the last image I want to share with you here. It has been taken from a ridge in the Abruzzo, Lazio and Molise National Park and spans over the mysterious Mainarde mountain range in the foreground and down until the Matese massif. It has been taken on a mission for the project "L'Altro Versante" (the "other side") and I picked it for this blog as it includes many "other sides" in itself. With it, I would like to wish you a happy, healthy, peaceful, successful and wild 2015, with the invitation to always look on the "other side" of things and to nurture that curiosity that keeps us discovering and learning.